Established in 1971, NEBB is the premier international certification association for firms that deliver high performance building systems. 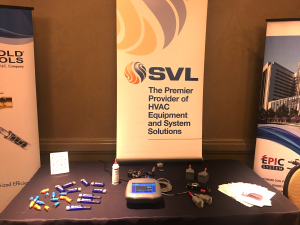 SVL has participated as a vendor at the annual recertification NEBB seminar for many years. This years seminar included educational sessions on ultrasonic flow meters, fume hoods, air balancing, HVAC system leakage testing and much more. Furthermore, the session provided opportunities for industry representatives to meet and discuss new products and processes. 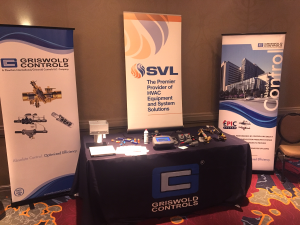 SVL’s booth featured Griswold Controls valves and Badger Meter ultrasonic flow meters. like to thank NEBB for providing this great industry event for another year.